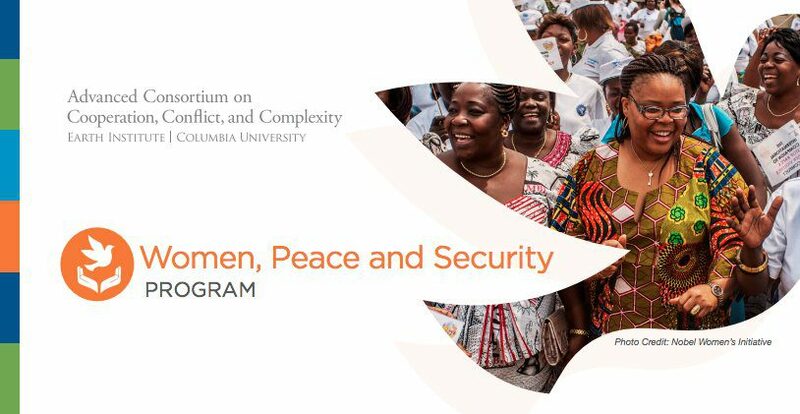 The Ladies, Peace and Security (WPS) program at Columbia University is delighted to reveal the launch of the Peace and Social Modification Fellowship Program The fellowship is created to create understanding, construct abilities, reinforce relationships and exchange methods amongst frontline ladies changemakers dealing with problems of social modification, justice, and, more broadly, security for all individuals. Through six-month fellowship cycles, friends of ladies changemakers representing a range of geographical and thematic locations will come together as a vital knowing neighborhood to gain from and with each other, both essentially and personally. As part of the fellowship, each fellow will be welcomed to bring agents from their particular organizations/movements for 2 in-person workshops: one at the start of the fellowship and one at the end. All expenses connected to the in-person convenings will be covered. The Peace and Social Modification Fellowship Program is created to unite activists, professionals and academics from throughout Africa to gain from and with each other, reinforce relationships, and exchange concepts with other grassroots ladies changemakers throughout the area. The fellowship is open to grassroots activists working broadly on the concern of peace and security. This consists of less frequently acknowledged elements of peace and security, such as land rights, financial equity, sexual and reproductive rights, and ecological truths, to name a few subjects. rights, gender based violence and more. feedback and style by fellows. dreams of fellows and their organizations/movements. activist, and WPS Executive Program Director Leymah Gbowee, to name a few. The fellowship will start with a three-day Peace and Social Modification workshop that will occur in Nairobi, Kenya in January 2019. Fellows will be welcomed to bring one to 2 agents from their companies with them to the workshop in order to increase cross-learning within their particular companies/ motions. All individuals will have expenses connected to take a trip, lodging, and meals throughout the Nairobi workshop covered. After the January workshop, Women, Peace and Security (WPS) program personnel will help with 6 months of continuous interaction amongst the fellowship mate by means of webinars and e-mail. WPS will likewise link fellows with college student scientists from Columbia University and The Graduate Center of The City University of New York City (CUNY). This group of college student scientists will assist increase the exposure of fellows’ work and companies through interdisciplinary research study jobs based upon fellows’ feedback and reported requirements. In July 2019, fellows, WPS personnel and college student scientists will satisfy for a 2nd event in Nairobi, Kenya to go over and provide their collective work. College Scholarship Idea Friday: Keep In Mind the 5 P's!